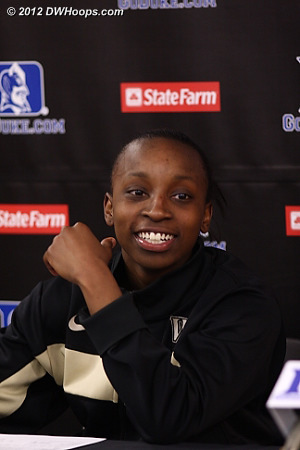 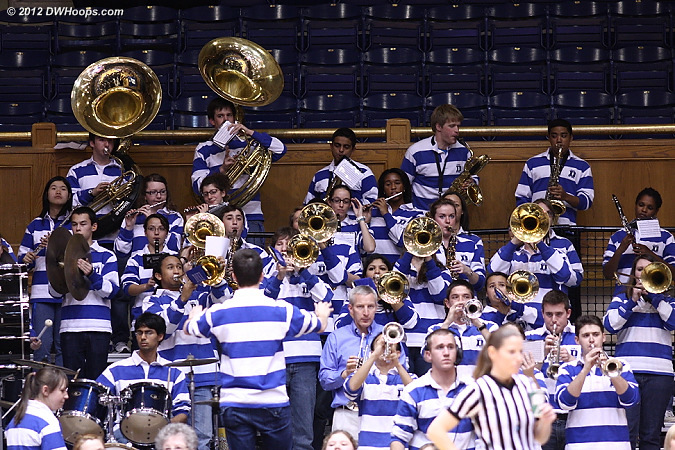 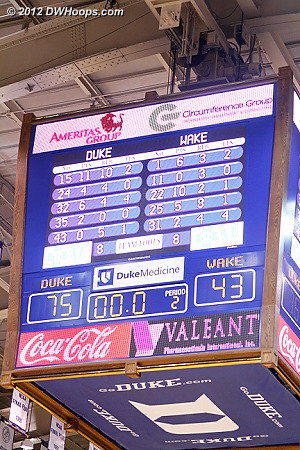 Duke Pep Band played a spirited rendition of "The Edge of Glory"
Richa Jackson had her first career double-double, scoring 11 points and grabbing 11 boards. 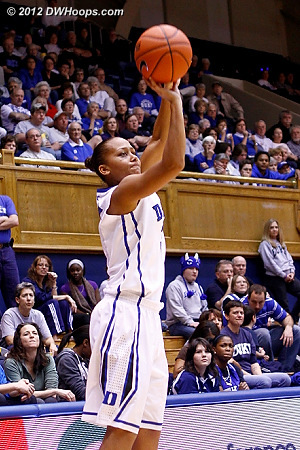 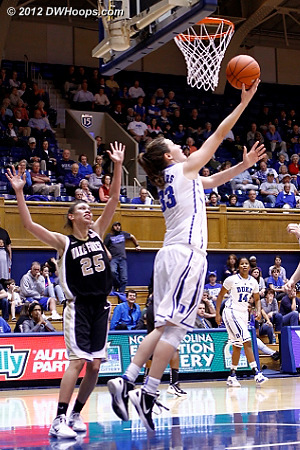 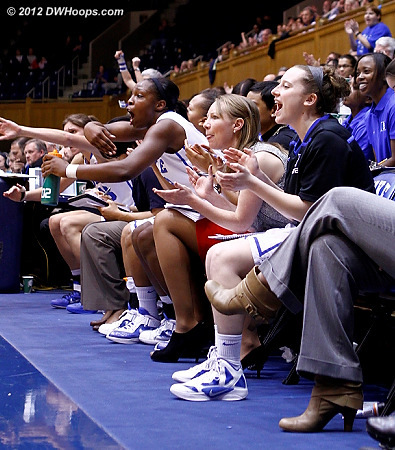 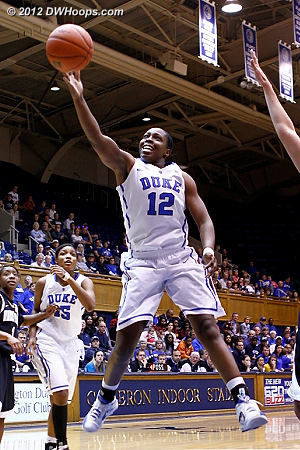 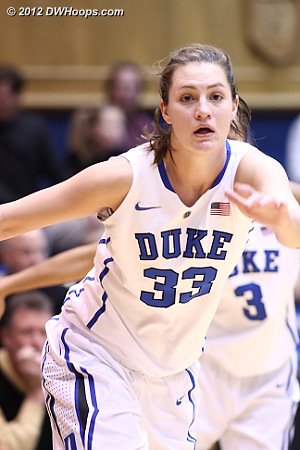 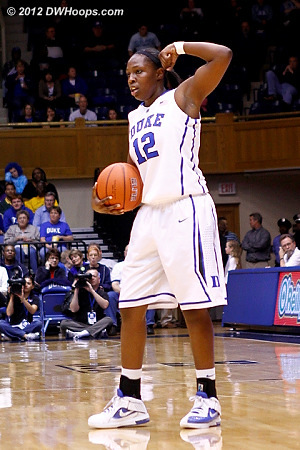 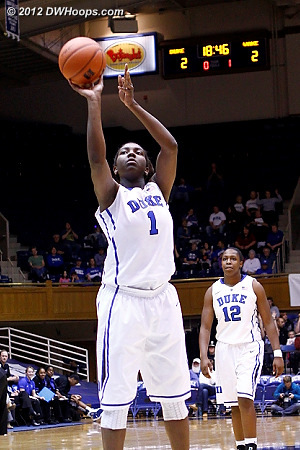 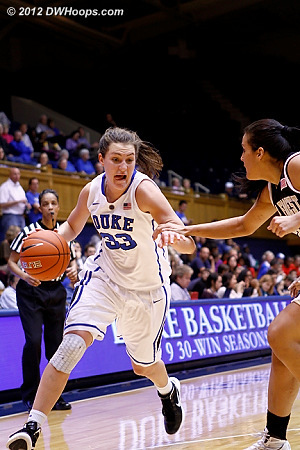 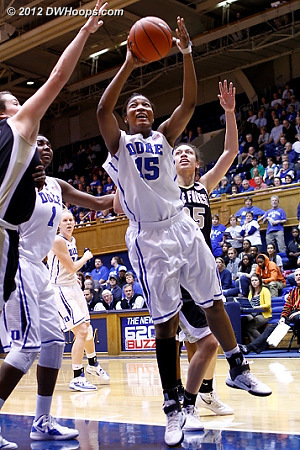 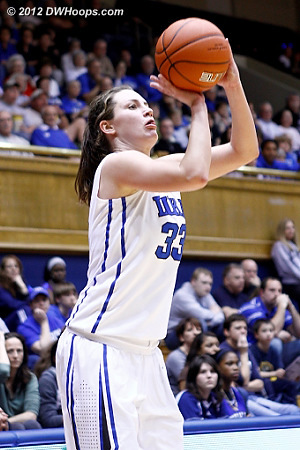 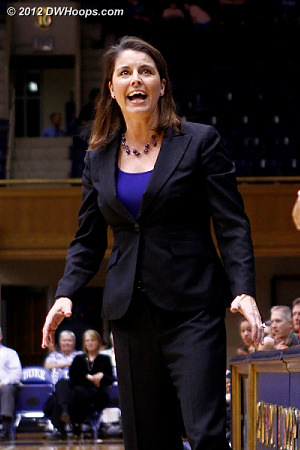 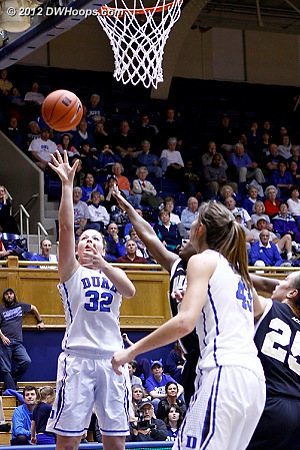 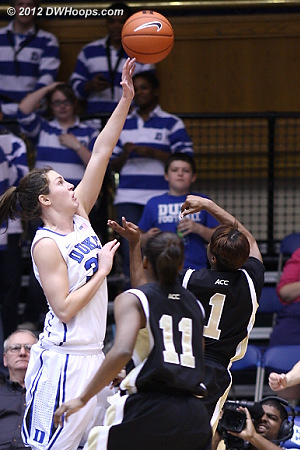 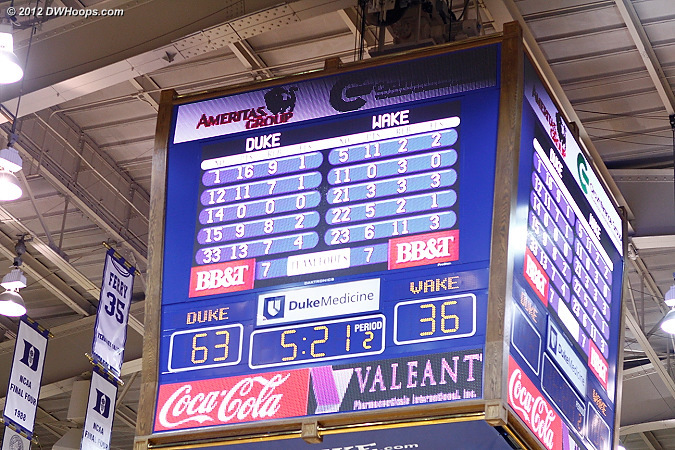 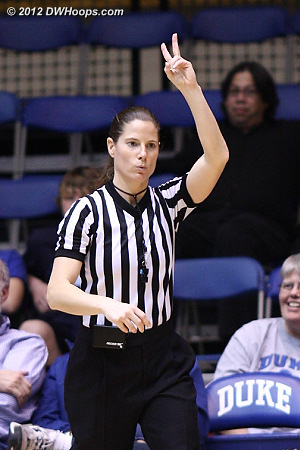 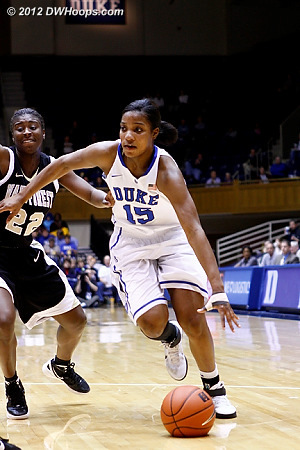 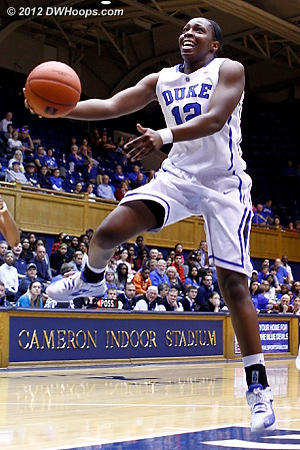 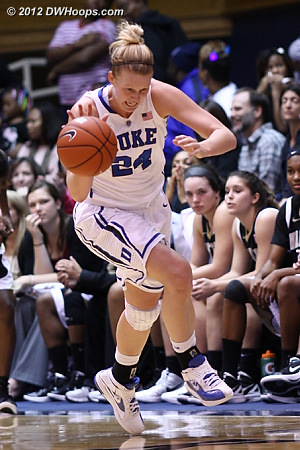 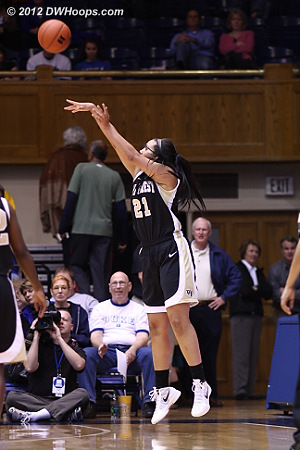 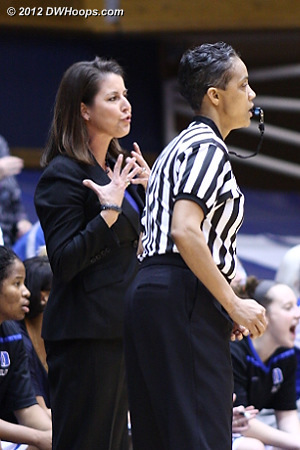 Here, she scores during a Duke run that put the game totally out of reach. 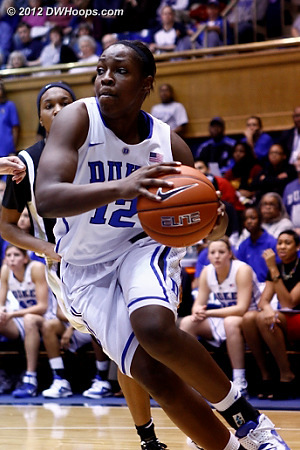 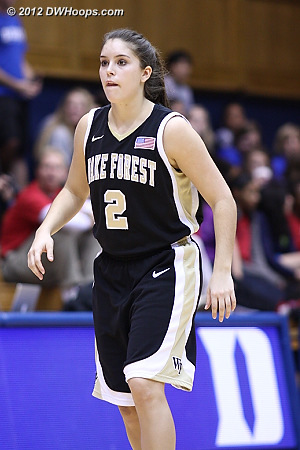 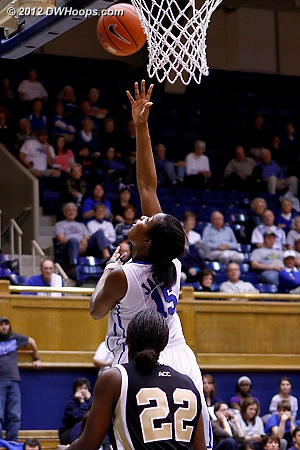 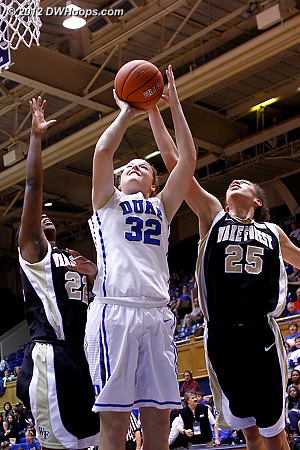 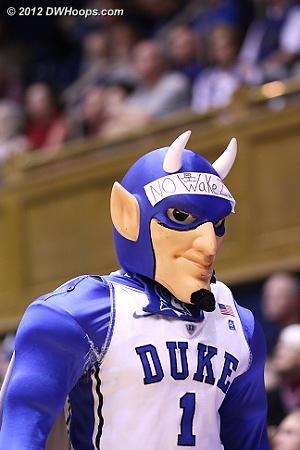 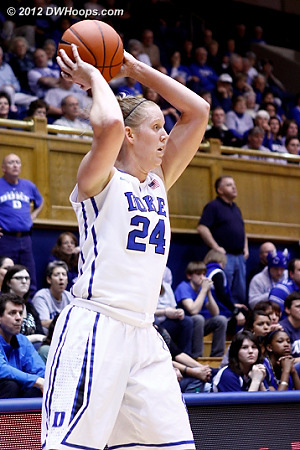 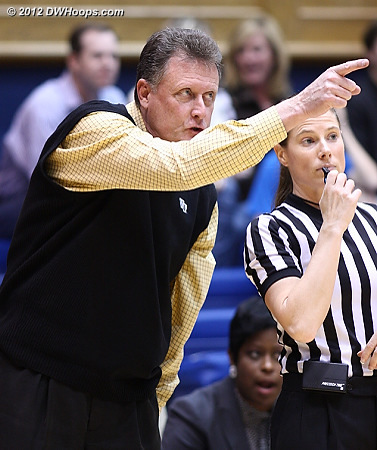 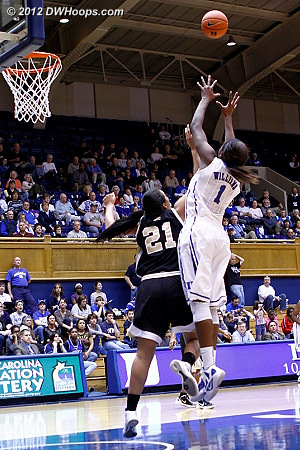 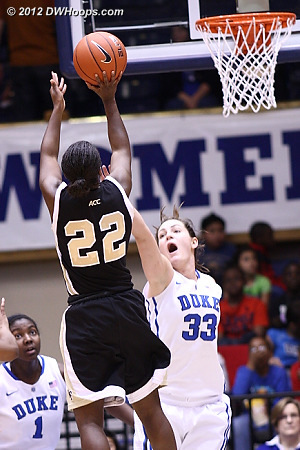 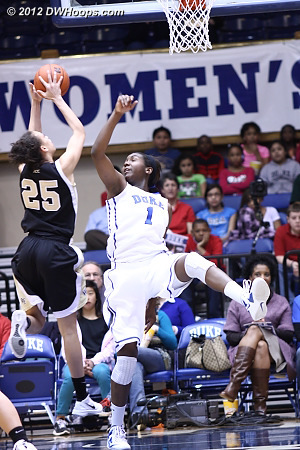 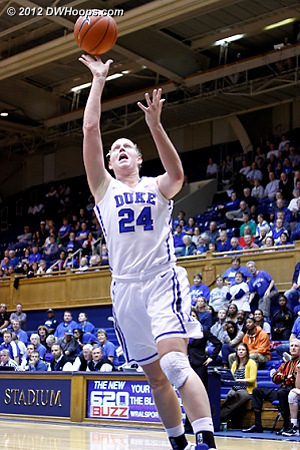 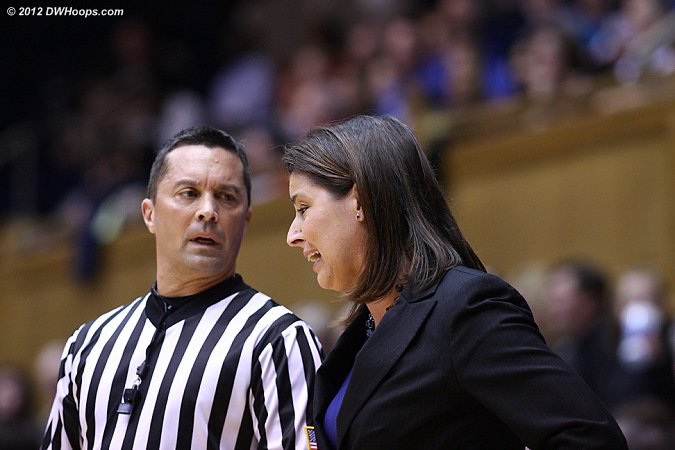 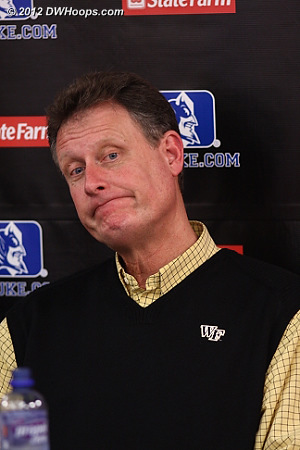 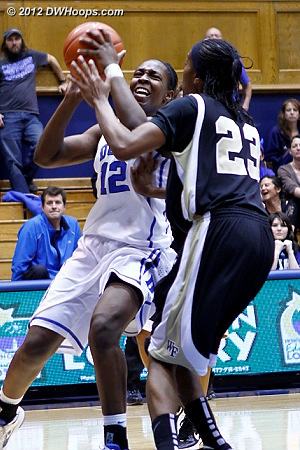 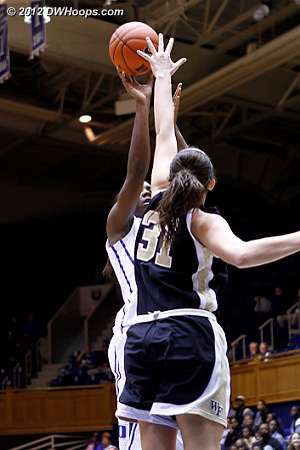 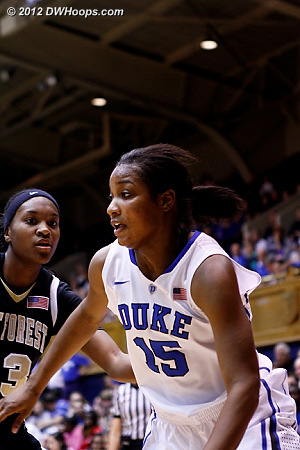 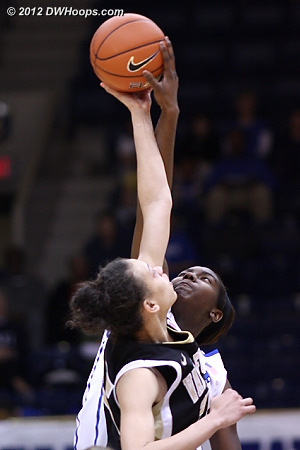 Williams had an ACC record 12 blocks in Duke's first meeting with Wake. 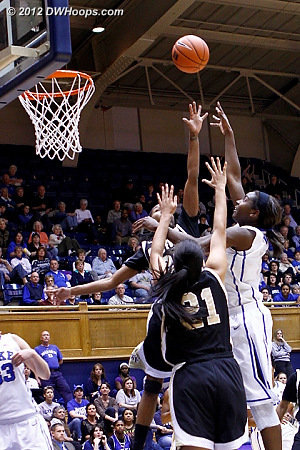 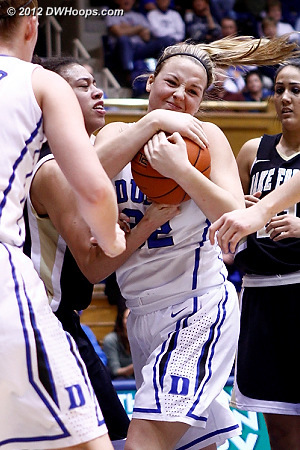 So Chelsea Douglas was probably right not to challenge her here. 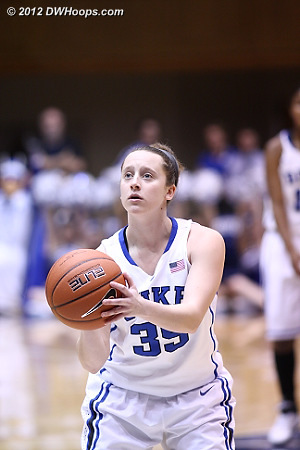 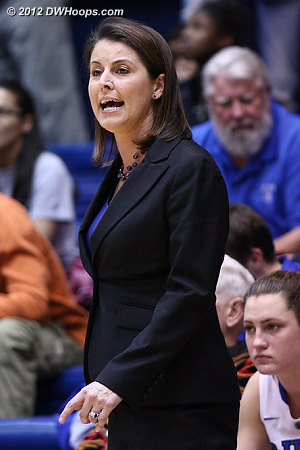 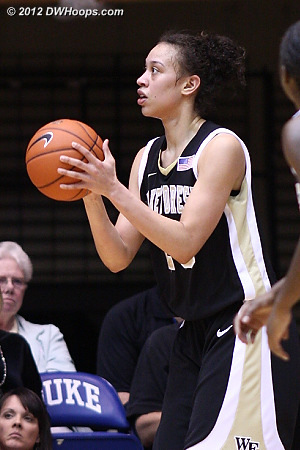 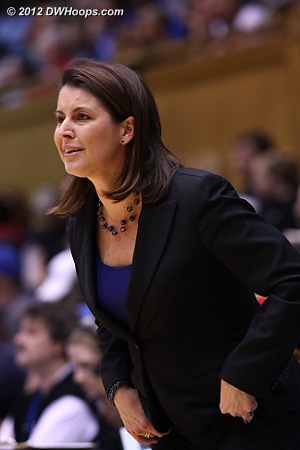 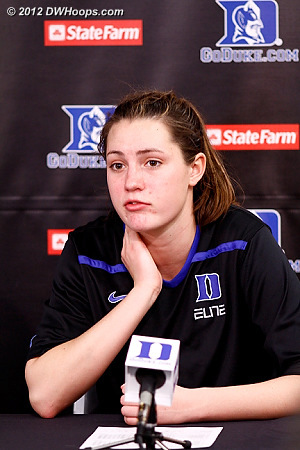 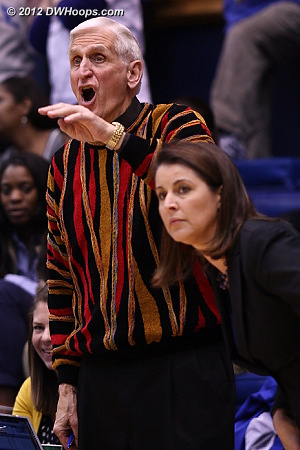 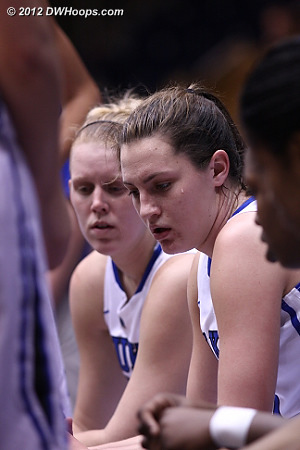 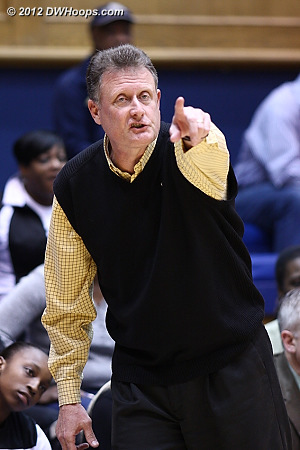 "We take steps forward, like I know personally I have had a few games without turnovers, and then we just revert. 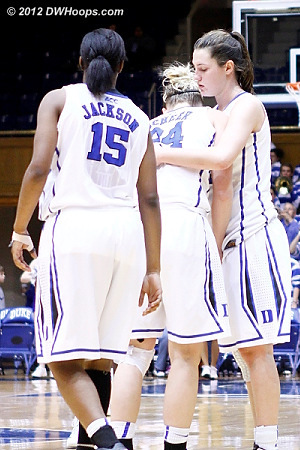 We have to get to the point where we're just past it - and it's not happening yet."